A classic contemporary worship song – this one is still relevant today and is sung in countless churches. I play/teach it using key of G chords with a capo on the 2nd fret. hello!! could you please tell me the strumming patterns for these songs? 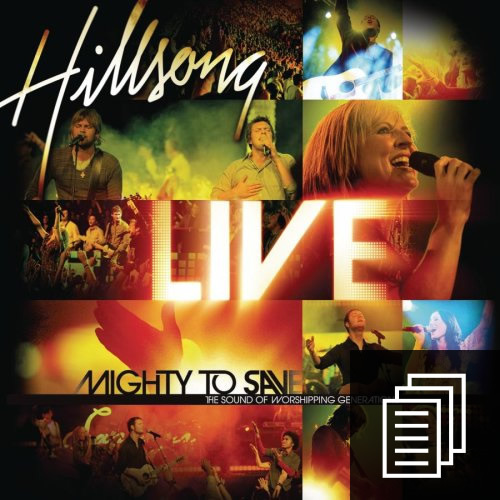 -> mighty so save by hillsong, God’s great dance floor by chris tomlin, i lift my hands by chris tomlin and rven when it hurts (praise song) by hillsong please? sorry to disturb you!!! I just purchased a chord chart (lyrics and Nashville chart) for Mighty to Save (by Hillsong) but I can’t find the chord diagrams – can you help me out? Hi John – thanks for purchasing! Our chord chart kits do not include the chord diagrams, but they are provided here on the tutorial pages. Sorry for the inconvenience. Love your tutorials, but one question: is the strumming pattern the same for the chorus and the intro? Hi Mackenzie – I think you can play the same pattern in both of those sections if you want to. Sometimes you’ll want to sort of back off when the song gets quieter and then strum a bit more when it gets bigger. This turned into a worship song right here, right now. Forget the tutorial. It went way beyond that. Beautiful. Which pad would you recommend for this one?